Whether you need a fence to protect your garden, keep animals or children safe, or add privacy, Jeff Beneke explains exactly what you need to know to build it yourself -- even if you've never built anything before. 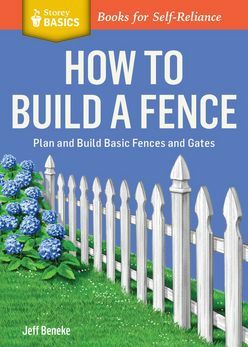 He gives clear, simple, step-by-step instructions for several basic fence styles using a variety of materials, including wood, vinyl, and chain link. And once you've mastered the basics, you'll be skilled enough to build any kind of fence, even those not covered in the book. Plan and Build Basic Fences and Gates. A Storey Basics Title.